This was amazingly tasty! 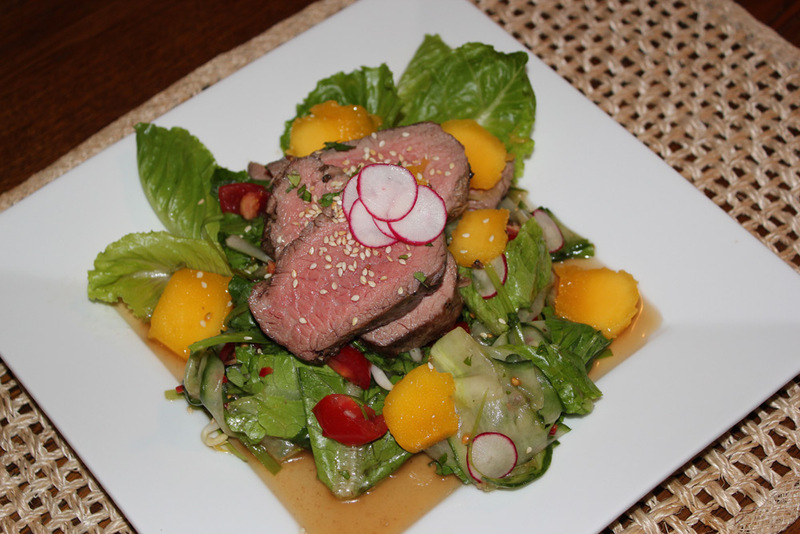 I don't usually like fruit in savoury dishes but think the mango totally makes this dish "pop"! I Loved it! Glad you liked it! Wish I could say it was my genius idea, but the truth is, I remembered reading in a recipe book (one of Nigella's I think) that mango goes well with Thai flavours or with beef (??? can't remember which book and can't find that handy little tip now). Anyway, think it was providence that I'd read that and then saw sun-kissed mango at Woolworths - ready peeled and chopped. This was deeelicious! Didn't we have this on your birthday? A total winner!! I love combining fruit in a dish, especially a salad.